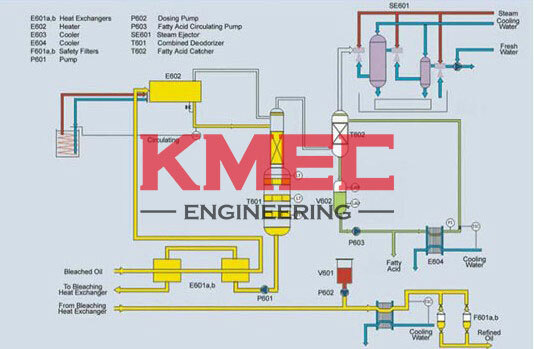 Oil deodorization is the final stage in an edible oil refinery. It creates a more bland oil by removing odiferous material and other minor undesired particles, in turn increasing its shelf life. Oil Deodorizer Tower applies to soybean oil, cotton seed oil, rapeseed oil, camellia seed oil, corn germ oil, rice bran oil, sunflower seed oil, edible oil processing. 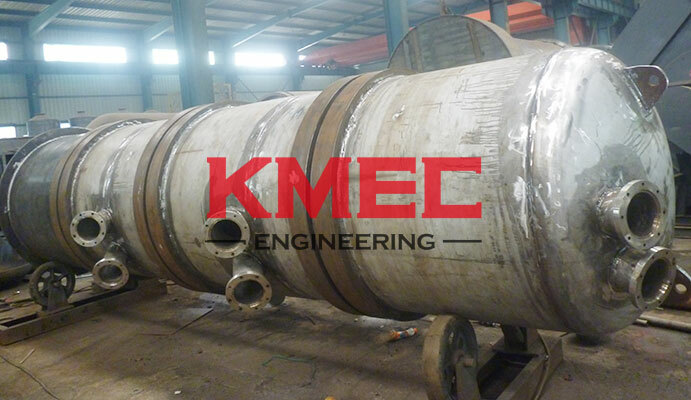 Using the stainless steel structured corrugated packing, it enlarges the specific surface area of steam and oil, with a good mass transmission. It also shortens the residence time of oil in the tower, and effectively reduces the content of trans fatty acids. Finally, it keeps the good quality of refined oil. Compact construction, small floor area, low cost of architecture and installation, it is easy to maintain and transport. Deodorization in creases the oil's flavor and oxidative stability by nealy complete removal of freee fatty acids(FFA) and other volatile odor and flavor materials, by partial removal of tocopherols, and by thermal destrution of peroxides. The thermal reatment that is necessary part of the deodorization process also heat bleaches the oil by destruction of the carotenoids taht are unstable at deordorization temperature. Steam deodorization is feasible because the flavor and odor compounds that are to be removed have appreciably greater volatility than do triglycerides. Operation at high temperature increases the volatility of these odoriferous compounds; and the introduction of stripping steam into the odorizer greatly increases the rate at which theses compounds are volatioized. Reduced prsil from atmospheric oxidation. Some operations. such as heating the oil, may be done in two steps. for example, with the semicontinuous and continuous deodorizers, but not the batch deodorizers, it is posibble to preheat the feedstock with the hot, deodorizers oil and thus effect a fuel savings 40% or more. Frequently, a blend of two or more oils and/or fats, ie., stocks, is used in preparation of a finished product. The usual practice is to blend these stocks before rather than after deodorization to minimize handling and storage of the deodorioed oil. Here is an article about palm oil refinery plant cost, click to see more details.